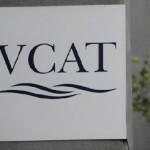 We have just received the decision – VCAT have set aside Council’s decision to refuse a permit to the applicant. Which means VCAT have approved a permit to allow the construction of buildings and works containing a maximum of 39 dwellings and a partial waiver of the standard car parking requirement in accordance with the endorsed plans. Despite our best efforts we were defeated. But thanks goes out to those who assisted, especially Melissa, Darren, Alison, Nick, Anne, and Patrick; who all presented at the VCAT hearing. Below is a copy of the decision and conditions……. (Here is the decision on a govt. site P2101/2013 Raio v Hobsons Bay CC). Section 77 of the Planning & Environment Act 1987; Hobsons Bay Planning Scheme; repeat appeal; guidance by the previous Tribunal decisions; response to neighbourhood character; impact on significance of heritage place; modulation and articulation of built form; presentation of built form to public open space; traffic and car parking impacts. Leave is granted to substitute the plans that are the subject of the Application for Review for the plans prepared by Kavellaris Urban Design marked TP01 to TP12 dated 5 December 2013 (Revision C) and the landscape plans prepared by ERM and marked LS1, LS4B, LS5B and LS6 dated December 2013. The decision of the Responsible Authority in relation to permit application no. PA1226036 is set aside. A permit is granted in relation to land at 6 Paine Street, Newport. The permit will allow the construction of buildings and works containing a maximum of 39 dwellings and a partial waiver of the standard car parking requirement in accordance with the endorsed plans. The permit is subject to the conditions contained in Appendix 1 to these reasons. Ian Pitt, SC Lawyer of Best Hooper. Mr Pitt called expert evidence from Catherine Heggen (town planner) of Message Consultants, Bryce Raworth (heritage consultant) from Bryce Raworth Pty Ltd, Charmaine Dunstan (traffic engineer) of Traffix Group and Allan Wyatt (landscape architect) of Environmental Resources Management Australia. Mr Pitt also circulated but did not call expert evidence from Johnny Wilkinson (visualisation) of Scharp Design. Adeline Lane, Partner from Maddocks. Ms Lane called expert evidence from Simon McPherson (urban designer) of SJB Urban. Melissa Goyak, Alison Terry, Darren Williams, Anne Fowler and Patrick Love all appeared in person. Construction of 43 dwellings in a three storey building and reduction of the standard car parking requirement. Application under Section 77 of the Planning and Environment Act 1987. Clauses 10, 11, 15, 16, 21, 22.01, 22.10, 32.01, 43.01, 52.06, 55 and 65. The subject land is a parcel of 3,254 square metres adjoining Armstrong Reserve and bounded by Paine Street (south), Crawford Street (east) and Latrobe Street (west). Surrounding land is entirely residential, with a variety of building ages and styles. The vast majority are detached, traditional cottage dwellings on quite small lots. Armstrong Reserve offers children’s play equipment, sports courts and grassed/landscaped open space. The site is located some 700 metres from the Newport Activity Centre and train station. The subject land has the benefit of a planning permit allowing a 13 lot subdivision for traditional townhouses. This permit expires if the development is not completed by 22 April 2014. The tribunal inspected the site and surrounding area on 7 February 2014. Cahill v Hobsons Bay CC (Correction)  VCAT 589; Raio v Hobsons Bay CC  VCAT 1501. What is this proceeding about? This is the third time in recent history that a proposed development of the land at 6 Paine Street, Newport (the ‘review site’) has come before the Tribunal. In April 2011 the Tribunal, constituted by a different Member, affirmed Hobsons Bay City Council’s refusal to grant a permit for a development of the review site with 40 dwellings. The reasons for that decision are set out in Cahill v Hobsons Bay CC (Correction)  VCAT 589. In October 2012 the Tribunal, constituted by the same Members as this current proceeding, again affirmed the Council’s decision, this time to refuse a development of 42 dwellings on the land. The decision of Raio v Hobsons Bay CC  VCAT 1501 (the ‘2012 decision’) set out the reasons for our decision, namely relying on concerns regarding the level of respect and reference the proposed built form had for the surrounding neighbourhood character. In response to that second Tribunal decision, the owner of the land, Raio Pty Ltd (the ‘Applicant for Review’), has lodged a third application with Council, this time for 43 dwellings on the land. On this occasion, the Applicant received officer support for the proposal, with Council’s delegate recommending that a permit be issued subject to conditions. In considering that recommendation the Council’s Special Planning Committee determined to refuse to grant a permit, and issued a Notice of Refusal relying on nine grounds. Those nine grounds raise concerns that can be grouped into three categories, relating to impact on heritage significance, impact on neighbourhood character, and failure to achieve certain standards and objectives of Clause 55 of the Hobsons Bay Planning Scheme. Ms Lane for the Council conceded that the standards and objectives raised mainly related to matters of neighbourhood character, but also raised concern regarding the size of the balcony to Apartment 30. Raio Pty Ltd has sought a review of the Council’s decision, relying on grounds that essentially seek to refute the Council’s grounds of refusal. A large number of surrounding residents also responded to the Application for Review. They raise grounds similar to those expressed by Council, but add their own concerns relating to the amenity of the adjacent Armstrong Reserve, impacts on traffic and car parking in the surrounding streets, and impact on local infrastructure. What guidance is available from the previous Tribunal decision? Will the proposed development impact the significance of the heritage place? Is the proposed development respectful of neighbourhood character? Will there be any unreasonable off-site amenity impacts? Is an appropriate level of internal amenity achieved? Does the proposal appropriately provide for car parking and traffic movements? The Tribunal must decide whether a permit should be granted and, if so, what conditions should be applied. Having considered all submissions and evidence presented with regard to the applicable policies and provisions of the Hobsons Bay Planning Scheme, we have decided to set aside the Council’s decision, and direct the grant of a planning permit. Our reasons follow. By implication through a series of comments, it is also clear that the podium form central to the site was also an acceptable component of the proposal. The three metre setbacks along street frontages is consistent with many in the neighbourhood, but they are diminished in Paine Street by the projections of the floor above. This in itself is not necessarily problematic. It is the framing element, a device regularly seen in the more constrained areas of the inner suburbs, which is out of keeping with the neighbourhood. We do not find the device successful in breaking down the Paine Street block. Further, small variations in setbacks and height have been employed to break down the visual uniformity of the Crawford Street and Armstrong Reserve façades. However, we do not consider that the degree of the articulation and modulation sought by the previous Tribunal has been achieved. We conclude that the built form requires ‘fracturing’ in order to better reflect that of the neighbourhood. This is not a matter of applied decoration or stylistic references, rather it is simply an echo of, or link to, the variety and broken forms evident in the majority of the existing housing, using a contemporary idiom. The key test we therefore need to apply here is whether this third ‘edition’ of a development proposal for the site has successfully broken down or ‘fractured’ the proposed building into smaller elements, and whether with appropriate detailing more successfully integrates with the finer grain character of the surrounding neighbourhood. We will explore later in this decision our reasons for finding that further changes are required to the proposed development to achieve an appropriate outcome. Another relevant aspect is the fact that this is the third time that the review site has come before the Tribunal in recent times. As verbally expressed by the residents, and probably also felt by the other parties, they have become wearied and worn down by what is now nearly four years of almost continuous planning permit applications, Tribunal proceedings and planning disputes over this parcel of land. Having regard to these comments from the community representatives, we feel that it would be a positive outcome if this proceeding resulted in a permit being granted, and thus bring an end to this dispute. That does not mean that we are now weary ourselves and at the stage of being prepared to accept any proposal for the site. To the contrary, we seek to maintain the usual standards, expecting a high quality architectural outcome for the land that shows the appropriate amount of respect for the character of the surrounding neighbourhood. But what it does mean is that we may be prepared to contemplate a wider range of changes by way of conditions, or indeed an interim process, that we may have otherwise thought inappropriate in a different set of circumstances. Given the length of this dispute between the parties, and the weariness expressed by members of the surrounding community, we consider that a more flexible approach by the Tribunal in this matter is in everyone’s best interests. While the residents may have expressed some weariness at the on-going nature of this dispute, that was not reflected in the quality of their submissions. As was our experience at the 2012 hearing, the residents’ submissions were comprehensive and well expressed. They assisted us in our decision making role. In recognition of the Tribunal’s previous findings on the issue of heritage impact, Ms Lane did not make written submissions in relation to the impact of the proposed development on the heritage place. She did however note that heritage is one aspect of the existing neighbourhood character, and so she approached the heritage debate as part of Council’s submissions that the proposed development does not appropriately respect the surrounding neighbourhood character. The residents, through Mr Williams, made submissions that the proposed development was not an appropriate response to the infill guidelines, which had been stringently applied by the Council to every other development and addition in the surrounding heritage precinct. Mr Williams submitted that a development more in keeping with the infill guidelines would be a lower scale development, with a more recessive and domestic design. Mr Williams also provided an assessment of the proposal against the Heritage Overlay and relevant heritage policies. We conclude that the relatively low level of significance attributed to this portion of the precinct based heritage overlay provides an opportunity for a contemporary design of some scale to be developed, without impacting on the significance of the heritage place as a whole. Our view has not changed in relation to this matter. This is a neighbourhood within a broad heritage precinct that contains some streets that are highly intact with significant and contributory heritage properties. That is not the case however in the streets which abut the review site. The integrity of the immediately surrounding streetscapes are low, and in our opinion that opens the door for a substantial contemporary design on the review site without any detrimental impact on the significance of the heritage place as a whole. We also note the review site’s history as a large atypical site in this heritage precinct. It has historically been used as a timber yard, and the adjacent reserve as a quarry. Therefore this suburban block has never contained housing of a historic nature, nor development that contributed to the consistency of the surrounding neighbourhood. For these reasons we find that its development with a contemporary form of more intensive housing does not impact upon the significance of this heritage place. We also do not consider the infill guidelines referred to us by the residents as being particularly helpful in this matter. Those guidelines were developed as a means of guiding the design and massing of an infill development between or next to a heritage dwelling, and are effective in providing such guidance. Its content however is not relevant, or easily applied, to a site that is not, and never will be, next door to a heritage dwelling, but rather will always be separated by roads from the closest heritage fabric. It is for these reasons that we find much of the residents submissions on heritage matters misdirected and not relevant to our considerations. Indeed, having read the residents submissions on the heritage issue as a whole, we find them seeking to have a development on the review site that reflects the scale, proportions and detailing of the surrounding heritage properties. In contrast we consider that such an approach will only further devalue the heritage qualities of this immediate locality, by creating some level of confusion as to what are truly heritage properties, and what are modern copies. It is appropriate for alterations and additions to existing heritage buildings to reflect the heritage qualities of the host building. However it is equally appropriate for a site such as this, separated from heritage properties by the surrounding streets, to be clearly read as a non heritage building, though one which draws references from the character of the surrounding housing stock. In terms of its impact on the heritage place, we find that the proposed development strikes an acceptable balance. Ms Lane submitted that, relying on the evidence of Mr McPherson, some aspects of the proposed development were not sufficiently respectful of the surrounding neighbourhood character. These include the regular modular street frontages and the narrow frontages of the first and second floor dwellings and the upper level overhangs. Criticism was also made of some of the proposed materials. The residents made a detailed and well informed submission as to the aspects of the proposed development that they say creates an unreasonable level of scale and bulk that does not respect the surrounding neighbourhood character. Drawing on an interactive 3D model, they explored the effect of certain elements of the development, and what would occur with a range of subtle and more substantial changes to the proposed built form. Ultimately it was the resident’s submissions that the loss of some of the proposed built form, and thus yield, would result in a far more recessive built form which would be a better and more acceptable response to the surrounding neighbourhood character. Ms Heggen defended the proposed development as a reasoned response to the character of the surrounding neighbourhood and the guidance provided in the previous Tribunal decision. She took some time in her oral evidence to explain how each of the two storey elements at the corners of the building combined with the breaks in the building to achieve an appropriately fractured outcome. Ms Heggen also explained her opinion that the cantilevered upper floors, which occur at some parts of the development, were an added level of articulation that did not detract from the level of fracturing elsewhere employed. As we identified earlier in this decision, the key test we need to apply here is whether this third ‘edition’ of a development proposal for the site has successfully broken down or ‘fractured’ the proposed building into smaller elements, incorporating detailing which more successfully integrates with the finer grain character of the surrounding neighbourhood. We also recognise that, while we are seeking an outcome that is respectful of neighbourhood character, we have here a strategic redevelopment site that is well suited on a range of levels to provide an intensive form of medium density housing. In short, we need to remember that a large built form is a reasonable expectation for the review site, for all the reasons explored in the 2012 decision, and which we will not repeat here. In some ways the development that is before us has been successful in breaking down or fracturing the proposed building. The proposal that is now before us is far more articulated, has greater setbacks to the upper levels in most apartments, and has some two storey elements amongst the mostly three storey form. The range of materials and detailing also better reflects some of the characteristics of the surrounding neighbourhood. For example the range of pitched gable and hip roofs reference that dominant roof form in the surrounding area, and the range of bricks, weatherboards and timbers reflect the materials often found in the surrounding housing. In other ways however we consider that an insufficient ‘fracturing’ of the built form has occurred. In particular we consider that some elements of the built form will still appear dominating from the public realm. Firstly, in the case of apartments 16 and 24, this is due to their heavy cantilevered design and presentation of ‘side’ walls to the street interface in important locations at both corners of the review site with the adjacent public open space. We are concerned at the way these two apartments cantilever at the first floor both towards their respective street interfaces and the reserve. Combined with the plain wall treatment, we think they will be overly dominating and foreign elements in both Crawford and Latrobe Streets. However, we consider there is a solution to our concerns. In both these cases the two apartments can be combined with adjacent apartments to create one apartment solely contained on the first floor, thus removing the cantilevered elements and part of the third level to provide a better transition in height at these two important corners of the development. We will require the combination of Apartments 16 and 17 into one first floor apartment, and for the same to occur to Apartments 23 and 24. The reconfigured first floor apartments should not include any cantilevered elements towards the roads or the public open space. We consider that these changes will appropriately moderate the perceived bulk of the development when viewed from Armstrong Reserve and the northern parts of Crawford and Latrobe Streets. Secondly, we remain concerned about the overall size and scale of some of the three storey ‘terrace’ elements as viewed from the surrounding streets. In particular we are concerned about the northern component of apartment 32 as it presents to Crawford Street. This is a townhouses spread over the first and second floors, which has a second floor that cantilevers by 1.5 metres over the first floor, towards Crawford Street. At the second floor Apartment 32 has a minimum street setback of 2.75 metres. We consider that a more articulated and ‘fractured’ design would delete the second floor of Apartment 32. The first floor of Apartment 32 could then either become a studio apartment, or be consolidated with Apartment 31 to form one larger first floor apartment. Thirdly, we consider that more needs to be done to reduce the length of the three storey form to Paine Street, and to increase the size of the central break. While removing the second floor to Apartment 32 assists, we find that the second floor of Apartment 35 should also be removed to assist in the reading of the existing break at first and second floor levels on more oblique views of the site. This will also break up the mass of the building into smaller elements, reflecting a key and valued characteristic of the neighbourhood. Fourthly, turning to the corner of Paine and Latrobe Streets, we agree with Council that the presence of the two cantilevered first floor elements either side of the pedestrian entry is overwhelming. Removal of the bedroom and ensuite of Apartment 39, coupled with the amendments we require to apartments 41-43 (discussed below), will further open up this corner for the insertion of additional landscaping whilst increasing views to the communal open space at podium level. As a result of these changes, we consider that an appropriate fracturing or breaking down of the massing of the proposed development can be achieved, without reducing the overall essence of the design. We usually would not have required such an extent of changes by way of conditions. However, again noting everyone’s weariness of the continued planning disputes over this parcel of land, we consider that such the changes will not only bring an end to such disputes, but also achieve an acceptable built form outcome. This is a site surrounded by roads and public open space and as a result there are no off-site amenity impacts from the development by way of overshadowing, overlooking or to daylight the daylight available to existing dwellings as set out in ResCode. There is a potential impact caused by visual bulk, which we address as part of our neighbourhood character analysis. Consistent with that remark, none of the parties before us in this hearing sought to argue that there would be any unreasonable off-site amenity impacts by way of overlooking, overshadowing or daylight access as a result of the proposed development of the review site. We therefore repeat our earlier position that, due to the fact that the review site is surrounded by roads and public open space, this is not a case where off-site amenity impacts are relevant. Some relatively minor criticisms were made by the parties in relation to the extent of natural light to be enjoyed by some of the apartments. One of the areas of criticisms was in relation to the length of the ‘shafts’ provided to the internal ‘piggyback’ bedrooms in some of the ground floor apartments. We explored with the parties, and Ms Heggen, the possibility of aligning these with the breaks between the balconies on the first floor, and thus reducing the length of the ‘shafts”, as suggested by Mr McPherson. It so happens that such alignment is already achieved in relation to four of the seven apartments with ‘piggyback’ second bedrooms. We consider it appropriate in each of these cases, being apartments 2, 3, 8 & 12, for the first floor ‘garden’ parapets to be removed at first floor, (from 19, 20, 29 and 38) and for the length of the ‘shafts’ to be reduced accordingly. We understand that for apartments 2 & 8 that will result in the loss of some wardrobe space. We still consider that overall the gain in daylight will be a positive outcome for these bedrooms. One of the apartments which does not presently line up with the breaks in the balconies at first floor is at Apartment 4. We consider that if Apartment 22 above is mirror imaged, then the break will align with this window. We consider it appropriate that this occurs, and will so require by way of conditions. Also as a result of this change, the two new apartments in lieu of 41, 42 and 43 will not need to rely on the light well, and so apartments 39 and 40 can have unscreened, clear, full height glass to the proposed light well to the benefit of the levels of internal amenity in these apartments. As a result of this change, and the others identified above in our neighbourhood character assessment, the proposed development will lose a minimum of four apartments, and therefore contain a maximum of 39 apartments. We use the terms minimum and maximum so as to provide the Applicant for Review will some flexibility as to how they respond to our deletion of the second floors of apartments 32 and 35. The final area of concern held by Council was the area of the balcony for Apartment 30, which at 4.6 square metres is below the 8 square metre standard required by Rescode. We would not be happy with a consistent provision of balconies at this size. However, we consider that one occurrence is acceptable on the basis that Apartment 30 is a one bedroom apartment, and so is likely to have a small number of occupants. The very close proximity of Armstrong Reserve is also a relevant factor that has weighed on our acceptance of an undersized balcony for this one apartment. In the 2012 decision we made clear and unambiguous findings in relation to car parking and traffic matters. Those findings were essentially that there were no grounds in relation to the provision of car parking, the design of the car parking layout or the resultant traffic movements to oppose the issue of a permit for the proposed development. The 2012 decision involved a proposed development of 42 one and two bedroom apartments. That development provided all resident car parking on site, and sought a waiver for three of the required eight visitor car parking spaces. The proposal now before us comprises 43 apartments, three of which comprise three bedrooms each. The development again provides all resident car parking on site, and this time seeks a waiver for four of the required eight visitor car parking spaces. The differences between the two proposals are one additional car space on street, and four additional vehicles accessing the review site. The residents, lead by Mr Love, sought to mount a number of traffic and transport related arguments. Firstly they argued that as the site is not within walking distance of an activity centre or train station, the likely resident demand for car parking is likely to grow to 60 cars. When combined with the convenience of available on-street car parking, as compared to the less convenient provision of on site car parking by way of stackers, Mr Love submitted that this will result in a large number of cars parked on street as a result of this proposed development. This he said would have significant impacts on the ability for local children to access Armstrong Reserve on foot, and thus their health. Firstly, we must accept and apply the car parking rates required by Clause 52.06 of the Hobsons Bay Planning Scheme, which state that 46 resident car parking spaces are required in this 43 Apartment development. While Mr Love provided an analysis as to why additional car parking may prevail, we are bound to comply with and apply the planning scheme as we find it. The roads immediately abutting the review site have the capacity to contain 26 on street parked cars. We therefore do not consider it likely that any overflow car parking from the review site will occur in front of Armstrong Reserve, or if it does it will only be for a small component of the Reserve frontage. As was the evidence of Ms Dunstan, vehicles parked in suburban streets such as this often have the effect of slowing vehicle speeds, which may have a positive effect for children as pedestrians. It is the evidence of Ms Dunstan that the proposed development will result in 215 additional vehicle trips per day. That number of vehicle trips is quite low. To put it in perspective, during peak hour it means one vehicle every 3 minutes. Outside of peak hour, which is when children are more likely to be walking to or from the park, the frequency of additional vehicles will be less than one every three minutes. Those vehicle trips will mostly not occur along the park frontage. The review site’s access is located along Paine Street, with the most direct path of access being west along Paine Street to Melbourne Road. We accept that during busy times there may be some ‘rat running’ through the residential area to avoid areas of congestion. However such traffic flows will be dispersed over a range of residential streets, and not occur just on one street fronting the Reserve. A second and related argument as put by Mr Love, is that the location of the review site outside of an activity centre meant that there was not policy support for this scale of development in this location. Policy seeks to achieve urban consolidation in all established suburbs, particularly those accessible to a wide range of facilities and services. There is no expectation within policy that certain facilities and services must be within walking distance of a development site. Further, while activity centres are identified as playing a particular role in the achievement of urban consolidation, it is also recognised that sites outside of activity centres, and indeed outside a walking distance of activity centres, also have a role to play in providing for additional housing in the form of urban consolidation. The site has a number of attributes that lends itself to an intensive form of medium density housing. This includes its size, three street frontages, park abuttal, lack of easements, and no direct abuttal to another residential property. Further, while this site may not be within walking distance of a train station or activity centre, it is in a location where the residents enjoy access to a wide range of facilities, particularly compared to a location on the urban fringe. For these reasons we find that policy firmly supports intense development on the review site. Finally, some of the residents also expressed concern about the potential of this development to impact the existing congestion at Melbourne Road where it intersects with the West Gate Freeway. We consider this to be a broader regional issue best addressed by VicRoads. We also note that there are a number of very large residential renewal developments proposed in Hobsons Bay City Council, of such a scale that this development of 43 apartments pales in comparison. We therefore consider that this proposal will not be the catalyst for change to these arterial roads. Finally we also agree with Ms Dunstan’s observation, that even if these 43 dwellings were constructed in the urban fringe rather than in Newport, it will still add to the city’s traffic congestion on arterial roads. For these reasons we repeat our finding in the 2012 decision that there are no traffic or car parking matters that warrant a refusal of the proposed development. Many of the residents, the Council and some of the expert witnesses expressed various opinions as to how the front fencing to each of the individual ground level apartments could be amended. While some of these ideas were good, in truth we do not see anything particularly wrong with the style and height of fencing that is depicted on the plans before us. At present the proposal is for open style fencing generally at a height of 1200mm, with a higher element at 1800mm providing some added privacy for the ground floor habitable room windows, and an inset gate at 1500mm to mark each pedestrian entry. We find this to be an appropriate response to the mixed fencing character in this locality, while encouraging a level of surveillance and interaction from this development to the public realm. A similar variety of opinions was expressed in relation to the height and location of the security fencing to the five common pedestrian access points to the review site. In the case of the two pedestrian access points off Crawford Street and the northern access off La Trobe Street, we are satisfied that the proposed open palisade type of fencing, albeit at a height of 1700mm, will be an appropriate way of providing secure entry into the development. We are also satisfied that the security fencing located at the top of the stairs providing access from Armstrong Reserve is appropriately located such that it will not dominate views from the reserve. In the case of the much wider entry that presents to the corner of Latrobe and Paine Streets, we consider that a softer approach is desirable. This is due both to the more prominent location of this entry to the intersection of two roads, and the wider width of this entry, meaning that potentially more fencing is involved. For these reasons we find that this entry point should have two separate secure entries, one at ground floor at the doorway into the foyer, and the other being security fencing just past the top of the stairs. This means that a security fence is no longer required at ground level, and so will be removed. We understand that this will require some modifications to the layout of the podium at this point, but we consider that to be a small concession to make to enable the removal from this location of a high security fence at ground level in front of the built form. Council’s draft conditions sought to direct the type and application of particular materials and finishes. Neither Mr McPherson nor Ms Heggan thinks this is necessary and nor does the Tribunal. We agree with Ms Heggan that in terms of architectural expression, in contrast to the previous iteration, the design seeks to differentiate individual dwellings by using a combination of hip and gable roofs, in addition to introducing a wide range of contemporary materials which reference those in the neighbourhood. However, we also agree with Mr McPherson that the façade treatment is repetitious in its use of hip and gable and application of framing elements in all cases. We consider that by removing the ‘frame’ (but retaining the eave) from the dwellings with hipped roofs, and arranging the hip and gable treatment in a more irregular pattern can resolve this issue, and reinforce the differentiation between dwellings that Council seeks. In relation to the timber balustrading to the balconies, we accept the Applicant’s proposal to reduce the thickness of the balcony slabs and allow the timber members to run past the slab. Council sought a more ambitious communal garden on the podium of the proposed development. The podium is to be ‘ringed’ by small planter boxes in front of each of the dwellings providing opportunities for smaller areas of landscaping. The real landscaping contribution however will be made by a centrally located planter box, measuring some 16 by 5 metres, with another around 5 metres square. These two planter boxes will provide an opportunity for a number of canopy trees to be established, which are proposed to consist of rows of Mop Top Robinias. These trees will provide a dense and striking canopy coverage to the middle of the podium level courtyard. We consider that the landscape proposal for the site is generous and well considered and that the level of planting is ambitious enough. It complements the more mature and sizeable planting in the adjacent Armstrong Reserve. We note that consequential changes to the proposed landscape will be required arising from the deletion/reconfiguration of some apartments. Council seeks to impose a Condition requiring a landscape bond of $10,000, to be refunded 12 weeks after the completion of the landscaping. While the Applicant for Review did not contest the requirement of a bond, this Tribunal does not support the requirement of a landscape bond for projects of this nature. There are more than adequate enforcement methods available to Council to ensure that landscaping works are undertaken to the satisfaction of the responsible authority, making the requirement of a landscape bond superfluous and redundant. We will draft a condition providing Council with means to ensure landscaping works are appropriately completed on site. landscaping of the part of the Reserve located in close proximity to the review site. We also agree with the evidence of Mr Wyatt that the landscaping approach to be taken in the reserve is not the planting of a row of canopy trees, as was advanced by Council in a preliminary drawing submitted at the hearing, but rather a series of plantings or copses that would still allow a high level of surveillance of the Reserve from the proposed dwellings. The aim with the landscaping within the Reserve should not be to try to entirely screen the approved development, but rather to filter views to some parts of the building. (iii) provided or paid for partly by the applicant where the remaining cost is to be met by any Minister, public authority or municipal council providing the works, services or facilities. We consider that the approach set out under S60(5)(b) is appropriate, meaning that a Section 173 Agreement, as advanced by Council, is necessary. We will redraft the Condition to ensure it only requires the extent of works that we find is appropriately related to this proposed development. In addition we will adopt the approach taken by Council to broaden the Section 173 Agreement to also address other works that are to occur, including the construction of the footpaths to the perimeter of the review site, which has always formed part of the proposed development. We agree that a Section 173 Agreement is a clumsy planning tool, and is not needed in this case to continue on the title to the new apartments in perpetuity. We see the ability for this Agreement to be ended and removed from the title of the land after the works it requires are complete, and potentially before new titles are issued for the approved apartments. We also note that with the reduction of the number of apartments on site, there should be an expectation, created in the conditions, that the number of car parking spaces can also be reduced. This would allow some of the stacker car parking spaces for the residents to be converted into at grade parking for the residents. We will draft a condition that ensures an appropriate outcome is achieved. For the forgoing reasons the decision of the Responsible Authority will be set aside, and a permit issued subject to conditions. The construction of buildings and works containing a maximum of 39 dwellings and a partial waiver of the standard car parking requirement in accordance with the endorsed plans. The positioning of all plant and equipment (including air-conditioning units, heating units, hotwater systems, etc) which is proposed to be located externally. Such plant and equipment must be positioned to prevent unreasonable noise and visual impact. The location of all external downpipes and rain heads and the like must also be shown. All roof top plant lift overruns, service entries, communication devices, television aerials and other technical attachments located externally to be treated as part of the overall design. A detailed schedule of all external materials, finishes and colours. The schedule must show the materials, colour and finish of all exterior surfaces including external walls, roof, fascias, canopies, window frames and doors, and paving. A notation stating that the construction of a 1.5 metre wide pedestrian path straddling the length of the Armstrong Reserve property boundary (500mm of the pedestrian path must be accommodated within Council land forming part of Armstrong Reserve) must be carried out by the owner at the owner’s expense to details which are approved by the Responsible Authority. Nomination of tree protection zones (“TPZ”) around all existing trees to be retained in Council land adjacent to the site, as referred to in Condition 7 of this permit. Public lighting must be provided to the ground and first floor street areas, and the plans must specify notations indicating how such public lighting will be managed. Provion of an integrated artwork at the south east corner of the site or alternative location(s). The artwork may reference the material submitted pursuant to condition 10 of this permit. Details of the design of mail boxes drawn to a scale of 1:50; mailboxes to be integrated into the overall development/building design. Any such structure(s) must be visually unobtrusive and secure and must provide adequate space for newspaper delivery. The location and design (including elevations) of any structure required to accommodate an electricity meter box(s). The structure(s) must be designed to be integrated into the overall development/building design. The provision of advanced evergreen canopy trees and, where appropriate for solar access reasons, deciduous canopy trees to be planted within the property frontages with an emphasis for ‘clusters’ of trees to enhance the streetscape edges. The provision of additional street trees to be planted within the Paine, Crawford and Latrobe Street road reserves frontage of the site including a notation that the planting of the street trees is to be carried out by the Responsible Authority at the cost of the owner. A notation stating that all landscaped areas must be provided with an appropriate automated irrigation system, connected to both the water tanks to be provided on site, and mains water. A notation stating that all trees must be a minimum height of 1.5 metres at time of planting. Nomination of TPZs in accordance with Condition7. The setting back of fences from the corner of Crawford and Paine Streets to allow the planting of a major corner tree (and the provision of a large tree with a spreading canopy tree at this location) in order to create a more generous and convenient corner arrangement at this intersection. Reconfiguration of the ground floor private open space areas to provide for a planted zone between the fence and paved areas and detailed landscape proposals for all ground floor areas. The use of water sensitive urban design principles. The provision of additional streetscape and forecourt planting, street furniture and lighting. Details of all street furniture, public lighting, materials and finishes must be provided. Resolution of the stair and internal street and planter details. Details of the staircase down to Armstrong Reserve. Details of the landscaping, irrigation, furniture and other structures or treatments for the central common garden area which must be designed to ensure the area remains attractive in the long term. This space must also be shown to be planted with some trees in purpose designed planters to visually extend the vegetation in the adjoining Armstrong Reserve. Inclusion of buffering planting between the windows to the bathroom and kitchen areas of Dwellings 32, 33, 34 and 38 (bath1) and common walkway areas. all to the satisfaction of the Responsible Authority. The development as shown on the endorsed plans must not be altered without the prior written consent of the Responsible Authority. Once the development has started, it must be continued and completed to the satisfaction of the Responsible Authority. Prior to the occupation of any of the dwellings, all buildings and works specified in this permit must be completed to the satisfaction of the Responsible Authority. The landscaping depicted in the endorsed landscape plan must be completed to the satisfaction of the responsible authority prior to the occupation of a dwelling, and thereafter maintained in accordance with the endorsed landscape plan to the satisfaction of the responsible authority. The establishment of TPZs around the existing trees to be retained of suitable dimensions. The area within the TPZ must be fertilised. The TPZs must receive deep and infrequent watering, i.e. once a week to once a fortnight or as required depending on climatic conditions and for a period up to the end of the following summer. The soil level within the TPZs must neither be built up nor lowered, unless approved by the responsible authority. No excavations or underground services are permitted within TPZ, unless approved by the responsible authority. The TPZs must be kept clear of all vehicles, plant, tools, equipment, building materials and debris. The washing of tools and equipment must be done at a distance where contaminants will not flow or leach into TPZs. A suitably qualified Arborist must supervise all excavations within the vicinity of the tree root zone of the street trees adjacent to the permitted development in Latrobe Street. Excavation depth for proposed works must not exceed a maximum of 200mm unless otherwise specifically considered and recommended by the Arborist. Any roots larger then 20mm in diameter that are exposed during excavations must be clean cut and the exposed face of all excavations must be kept moist until the exposed area is filled. If trenches are to be left open for extended periods they must be lined with wet hessian (which must be kept wet) to prevent rapid drying of the soil and feeder roots. Excavation works within the vicinity of the root zones of the Latrobe Street trees adjacent to the proposed building structure must take place between April and October or other time permitted by the Responsible Authority. An Arborist engaged to supervise the construction of permitted development may be given discretion to modify treatments depending on the extent of root loss in consultation with the Responsible Authority. Pruning and/or lopping to the canopies of the street trees to be retained and any recommendations on the redesign or re-siting of the approved building (if required) in order to ensure the continued health of the street trees to be retained. The endorsed Arborist’s report must be complied with and all recommendations carried out before and during construction of the permitted development. Suitable TPZs with barrier fence must be established around the trees along the Latrobe Street frontages. The TPZs must not intrude over the road. Suitable TPZs with barrier fence must be established around the trees and established landscaping areas which are to be retained within Armstrong Reserve. The TPZs must be enclosed using a minimum 1.8 metre high temporary cyclone fence or similar, which must remain in place through all stages of the construction of the permitted development unless with the written consent of the Responsible Authority. A sign must be erected on the fence clearly stating that the fence is a ‘Tree Protection Zone’. The area within the TPZs must not be disturbed by any means (including parking of vehicles or storage of plant & equipment, materials, soil or waste). No excavation is allowed within the TPZs except with the consent of the Responsible Authority and under the supervision of a qualified Arborist. Concurrently with the submission of amended plans in accordance with condition 1, a Sustainable Design Statement (the “SDS”) detailing sustainable design initiatives to be incorporated into the permitted development must be submitted to the Responsible Authority for approval. The SDS must outline the proposed sustainable design initiatives to be provided within the permitted development such as (but not limited to) energy efficiency, water conservation, stormwater quality, waste management and material selection. Upon approval of the SDS, all details and statements within the SDS must be provided for and constructed in accordance with the SDS. the making of a payment to Council in order that Council provides some or all of the specified works, services or facilities set out above. All costs incurred by the owner and the Responsible Authority in association with the preparation, execution and registration of the Agreement must be borne by the owner. The Agreement must be registered on the title to the land under Section 181 of the Planning & Environment Act 1987. Concurrently with the submission of amended plans in accordance with Condition 1, or prior to any other date approved by the Responsible Authority upon receipt of a written request from the owner, three copies of a heritage interpretation strategy prepared by a suitably qualified person must be submitted to the Responsible Authority for approval. The strategy may include the design of an interpretative plaque or signage detailing the history and significance of the former use of the land or other appropriate outcome to the satisfaction of the Responsible Authority. When approved the strategy will form part of this permit and must be installed prior to the occupation of any dwelling within the buildings hereby permitted. The owners and occupiers of the subject land must ensure that the Waste/Recyclable Management Plan approved pursuant to Condition 11of this permit is complied with at all times. Before the construction of the development allowed by this permit, other than necessary demolition and works required by the environmental site assessment process, an Environmental Assessment must be submitted to and approved by the Responsible Authority. The Environmental Assessment Report must be prepared by a suitably qualified environmental professional in accordance with the Potentially Contaminated Land General Practice Note (Department of Sustainability & Environment June 2005) to the satisfaction of the Responsible Authority and at the expense of the owner/permit holder. The report must include recommendations as to whether the condition of the land is such that an Environmental Audit should be conducted taking into account the proposed use. The owner/permit holder must comply with the findings of the site assessment to the satisfaction of the Responsible Authority, including if required the preparation of an environmental audit. The owner/permit holder is responsible for all costs associated with the preparation of the Environmental Assessment Report and if required the environment audit, including those incurred by the Responsible Authority to review the document. An Environmental Auditor appointed under Section 53S of the Environment Protection Act 1970 must make a Statement in accordance with Section 53Z of that Act that the environmental conditions of the land are suitable for the use and development that are subject of this permit and that statement must be provided to the Responsible Authority. The buildings and works and the uses of the land that are the subject of this permit must comply with all directions and conditions contained with the Statement to the satisfaction of the Responsible Authority. Where any condition of that Statement requires any maintenance or monitoring of an ongoing nature, the Owner must enter into an Agreement with Council pursuant to section 173 of the Planning and Environment Act 1987. Where a Section 173 Agreement is required, the Agreement must be executed before the development starts, and prior to the certification of the plan of subdivision under the Subdivision Act 1988. All expenses involved in the drafting, negotiating, lodging, registering and execution of the Agreement, including those incurred by the Responsible Authority, must be met by the Owner. All activities associated with the construction of the development permitted by this permit must be carried out in accordance with the CMP approved pursuant to condition 16 of this permit and all care must be taken to minimise the effect of such activities on the amenity of the locality. Except with the written consent of the Responsible Authority construction or demolition works must only be carried out between: 7am – 6pm Monday to Friday and Saturday 8am – 6pm. No work is to be carried out on Sundays, ANZAC Day, Christmas Day or Good Friday. Noise associated with construction activities must comply with the Environment Protection Authority’s relevant Guidelines at all times. Before any construction or demolition works commence on the site, a secure fence must be provided around the perimeter of the site to prevent access to the site from unauthorized persons. This fence must be maintained for the duration of the construction and demolition, be a minimum height of 1.8m (or such alternative height as is approved in writing by the Responsible Authority), and be constructed to the satisfaction of the Responsible Authority. The gate or opening to the fence must be securely locked at all times when work has ceased on the site. The waste and recycling storage/collection area must not be used for any other purpose and must be maintained in a clean and tidy condition, and free from offensive odour. Equipment, services and architectural features (other than those shown on the endorsed plan) must not be above the roof level of the building unless otherwise agreed to in writing by the Responsible Authority. All service pipes, (excluding downpipes), fixtures and fittings must be concealed on exposed elevations. No television aerials other than shown on the endorsed plans referred to in Condition 1 of this permit are permitted to be erected so that they are visible from beyond the perimeter of the site. Prior to the occupation of any dwelling, any existing vehicle crossings in Paine, Crawford and La Trobe Streets must be removed and the nature strip and kerb and channel reinstated and made good by the owner at the full cost of the owner. Prior to the commencement of the development authorised by this permit, detailed construction plans of all works external to the property to the satisfaction of the Responsible Authority must be submitted to, and approved by, the Responsible Authority. The plans must be drawn to scale and show all drainage and pavement works associated with the provision of foot paths, along the street frontages and the provision of indented parking bays for three cars on the northern side of Paine Street within the nature strip. All costs of the construction of the footpaths must be borne by the owner. Prior to the occupation of any dwelling, the construction of the footpaths must be completed. Any vehicle crossing(s) must be constructed in the location shown on the endorsed plan to a standard acceptable to the Responsible Authority. The relocation of any services including electricity poles, drainage pits, Telstra pits, fire hydrants and the like must be at the expense of the owner and approved by the appropriate authority prior to undertaking such works. Consent for such crossings must be obtained through Council’s City Maintenance and Cleansing Department prior to construction. The owner must meet the costs of all alterations to, and reinstatements of, public assets which are directed to be altered and/or reinstated by public authorities in order for the permitted development to be undertaken. The owner must obtain the prior specific written consent of all public authorities (including Council) the alteration and reinstatement of any public asset. The owner must comply with any conditions on specific written consents as granted. If the footpath, nature strip or any structure or landscaping within the Armstrong Reserve is damaged during construction of the permitted development or during the construction of any services, the footpath, nature strip or any structure or landscaping must be reinstated and made good, (including the planting of grass if appropriate) at the cost of the owner to a standard acceptable to the Responsible Authority. Prior to the occupation of any dwelling, the construction of the footpaths along the Crawford, Paine and Latrobe Street road reserves and the Armstrong Reserve abutting the site must be completed to a standard acceptable to the Responsible Authority. Prior to commencement of the development the owner must prepare and submit stormwater drainage design plans to the Responsible Authority for approval. An application to Council must be made for a legal point of discharge for the disposal of stormwater from the site and to determine the relevant Council standards for the stormwater drainage system design. An on-site storm water detention system will be required if the volume of stormwater exceeds the capacity of the legal point of discharge. The site must be connected to the approved legal point of discharge. The site must be connected to the existing underground drainage and sewerage systems. All basic services, including water, electricity, gas, sewerage and telephone must be installed underground and located in a manner acceptable to the Responsible Authority. Prior to the occupation of any dwelling, all landscaping works shown on the endorsed plans must be completed. After landscaping works shown on the endorsed plans are completed, landscaping and landscape works must be maintained to a standard acceptable to the Responsible Authority at all times. The street tree planting and landscaping of road reserves (including installation of hard landscaping i.e. footpaths) must be carried out in accordance layout and landscaping plans submitted and approved pursuant to this permit to the satisfaction of the Responsible Authority, and at the full cost of the permit holder/owner. Properly formed to such levels that they can be used in accordance with the plans. Surfaced with an all-weather seal coat. Line-marked to indicate each at grade car space (including visitor spaces) and all access lanes. The direction of traffic along the access lanes and driveways must also be clearly marked. Parking areas and access lanes must be kept available for these purposes at all times. The development is not started within two years of the date of this permit. The development is not completed within four years of the date of this permit. The Responsible Authority may extend the period in which to start the development if a request is made in writing before the permit expires or within six months afterwards. The Responsible Authority may extend the period in which to complete the development if a request is made in writing before the permit expires or within 12 months afterwards and the development was lawfully started before the permit expired. In part, this is the description of the land provided in the previous Tribunal decision of Cahill v Hobsons Bay CC (Correction)  VCAT 589. We have considered all submissions presented by the parties although we do not recite all of the contents in these reasons. Guidelines for Infill Development in Heritage Areas in Hobsons Bay, Helen Lardner Conservation & Design Pty Ltd, 2006. As set out at Clause 55 of the Hobsons Bay Planning Scheme. Based on using the car parking rates provided under Clause 52.06 of the Hobsons Bay Planning Scheme.